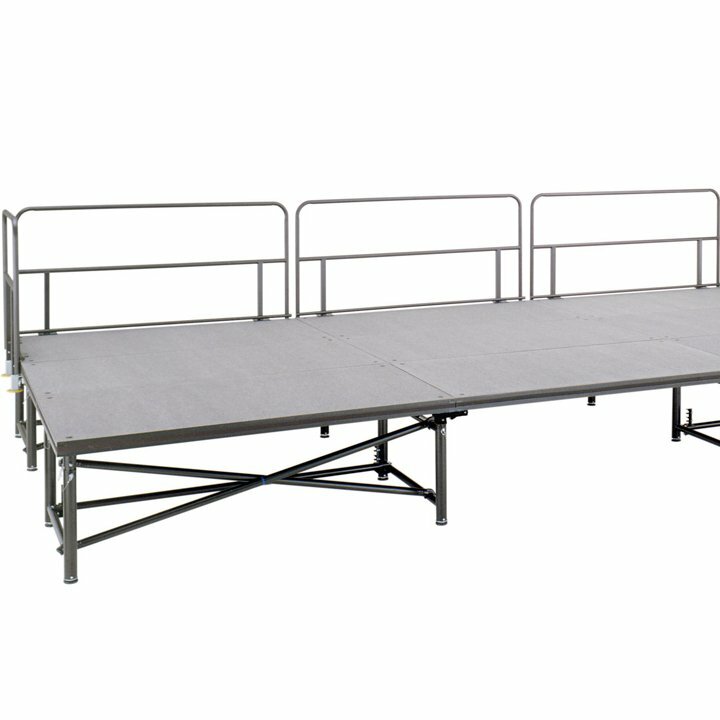 The SICO® Fold N' Set portable stage provides the feel of a permanent stage for performers, along with solid savings in time and labor for set-up crews. Our unique Flex Pin connectors ensure secure attachment between the decks and the frames without any loose parts or hole plugs. 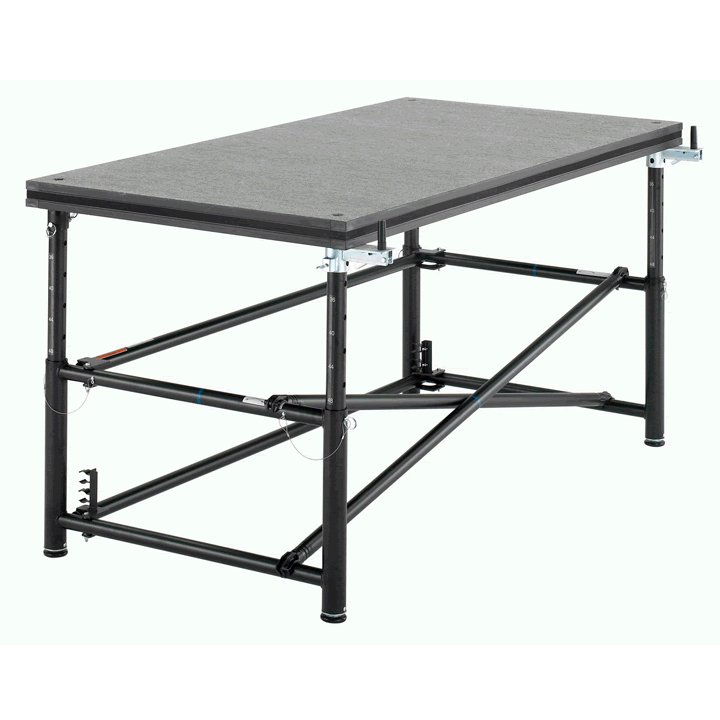 And stage installation is quick and easy thanks to self-aligning frames and decks. 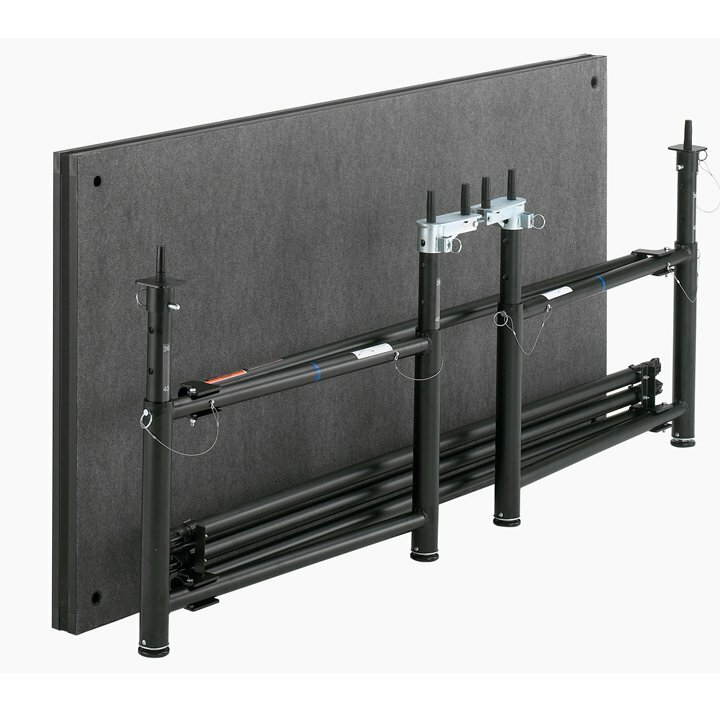 Fold N' Set Stage heights can be easily and quickly adjusted, and frames assembled without any additional tools. 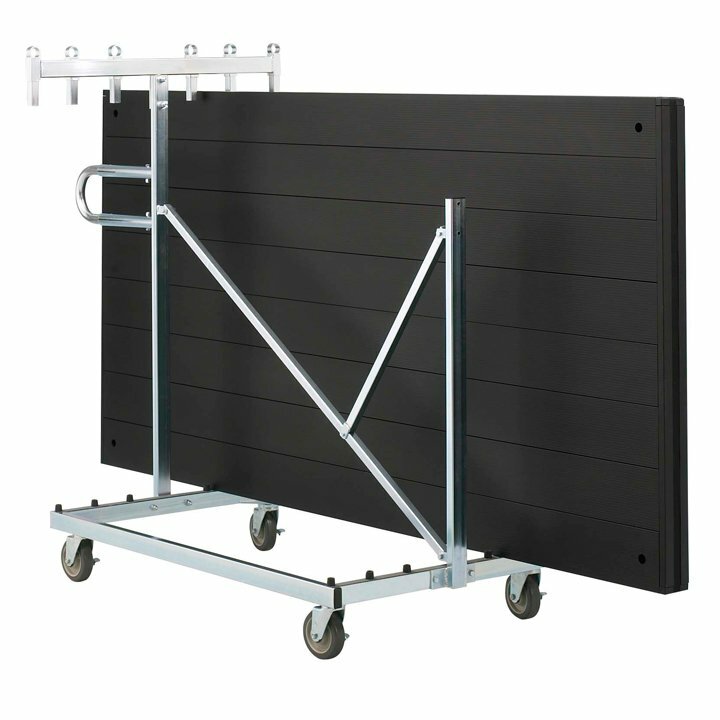 When not in use, the frames and braces are stored on mobile storage caddies that easily roll from storage to the set-up location. 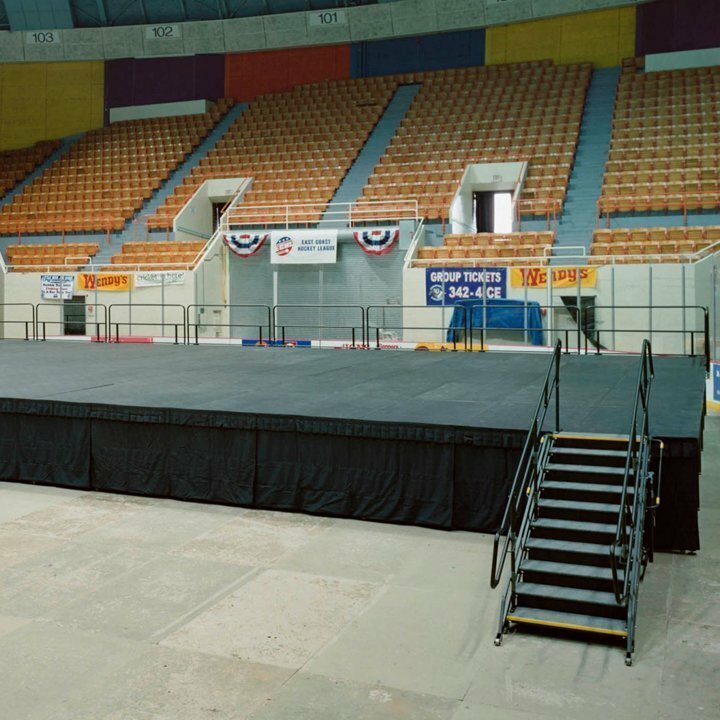 We also offer all the accessories to create professional staging and a quality production: backdrops, steps, draperies, corner sections, guard rails, chair and table stops, and trucks for moving draperies and guard rails. To make sure you're getting a stage system that meets your needs today, tomorrow, and for years to come, take advantage of our free SICO® space/use analysis! 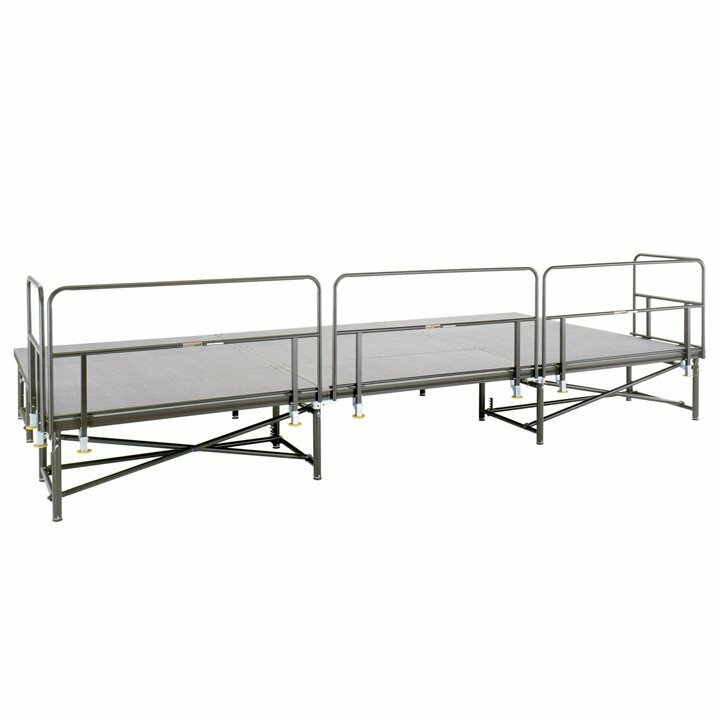 The SICO® Fold N' Set stage comes with reversible decks, which offer a tremendous way to optimize usage across a variety of applications. Choose from three deck configurations: 1) Long-wearing carpet surface and a scratch-resistant Tuff-Deck smooth surface, OR 2) Long-wearing carpet surface on both sides, OR 3) Scratch-resistant Tuff-Deck on both sides. 8″ (21 cm) leg kit. Set of 4. 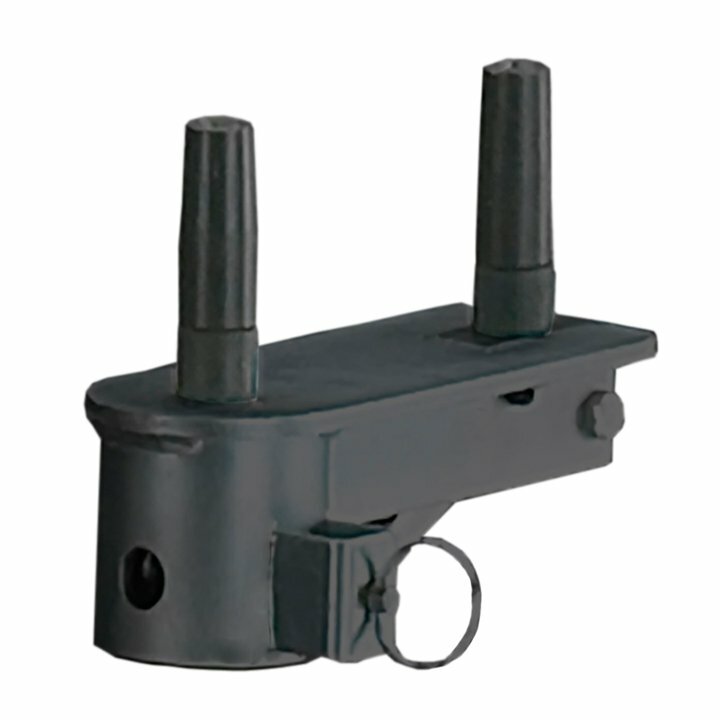 NOTE: You will need to purchase the appropriate number and type of pin connectors for multiple stage unit configurations. 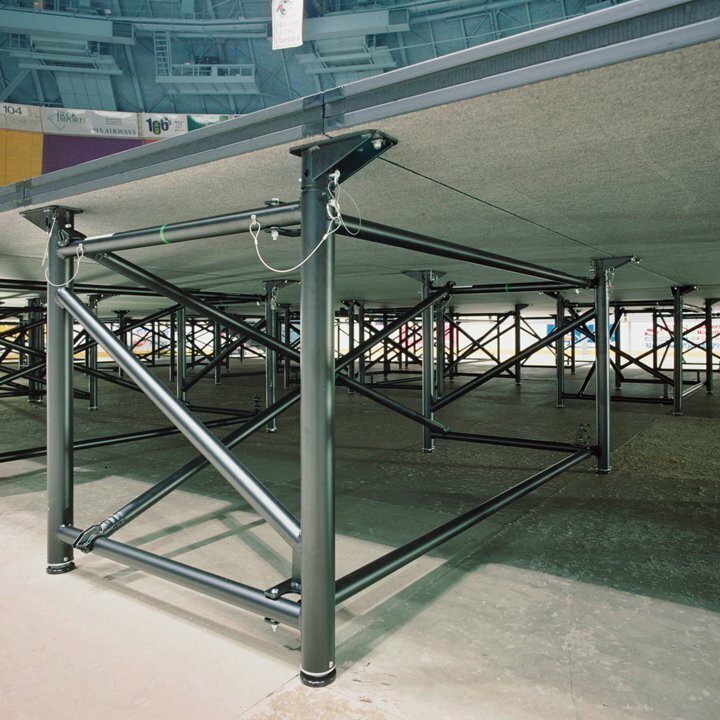 Speak with a SICO® Representative to determine the appropriate specifications for your stage setup. Available in 3, 4, 5, 6 and 8 feet widths. All steel construction. Single Length Drapes come in standard lengths of: 6, 8, 12, 16, 24, 32 and 40 inches. Multi-Length Drapes come in standard lengths of: 12″-16″, 16″-24″, 16″-32″, 18″-24″-30″, 24″-30″-36″, 24″-32″, 24″-32″-40″, 30″-36″-42″, 32″-40″, 32″-40″-48″, 32″-48″, 36″-54″, 42-60″, 48″-56″-64″-72″ and 48″-72″. Standard widths of 3′, 4′, 6′ and 8′; Standard heights are 28″ and 42″. Additional sizes are available if required. Stage steps allow access to stages from ground level. 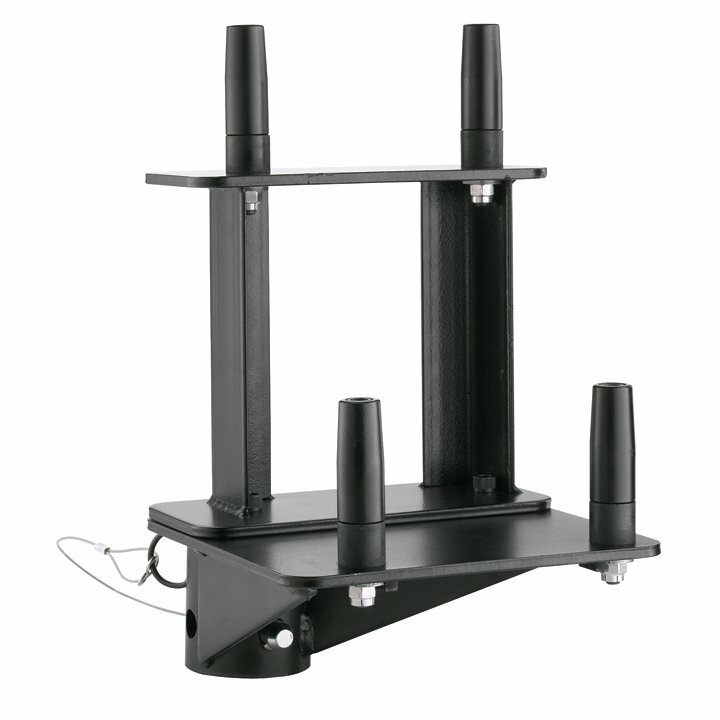 Articulating or fixed units available in multiple step configurations. See spec sheets for details. When you want to add a finishing touch, accent the aesthetic, or shield the performers until curtain-time… a SICO¨ backdrop is the practical solution. They give the unit a very finished, professional look. 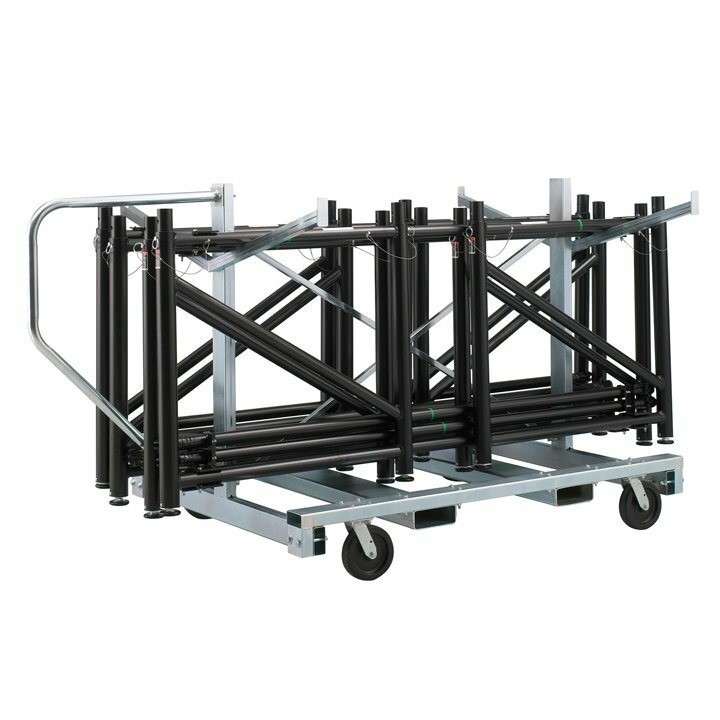 We offer transport caddies for easy mobility with all our portable stages.